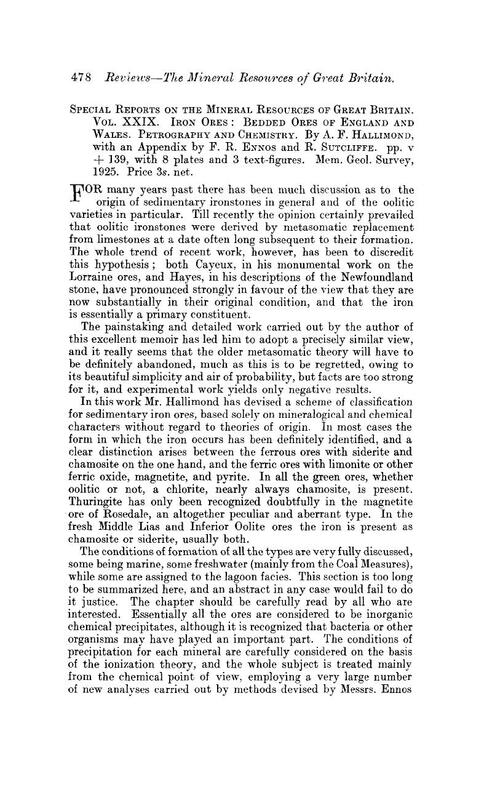 Special Reports on the Mineral Resources of Great Britain. Vol. XXIX. Iron Ores: Bedded Ores of England and Wales. Petrography and Chemistry. By A. F. Hallimond, with an Appendix by F. R. Ennos and R. Sutcliffe. pp. v + 139, with 8 plates and 3 text-figures. Mem. Geol. Survey, 1925. Price 3s. net.